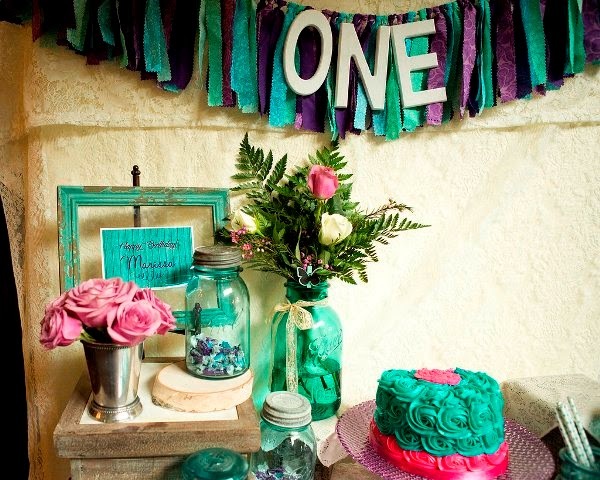 A First Birthday Party with a Vintage Twist…. 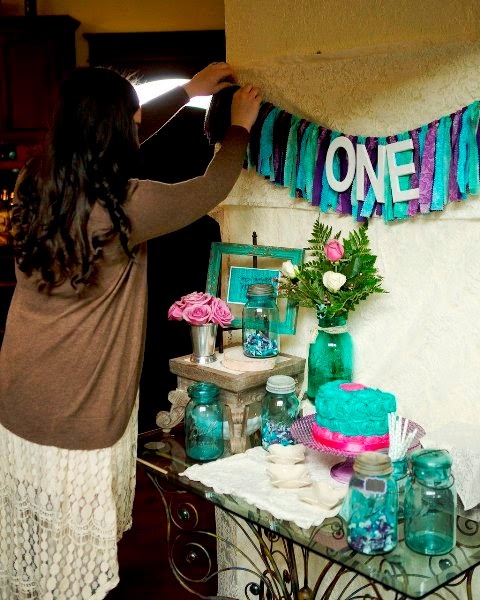 Green-Eyed Girl Productions offers party planning options from weddings to engagement parties, graduation parties, charity fundraisers and even first birthday parties! See our options for Party Coordination on our Main Website. 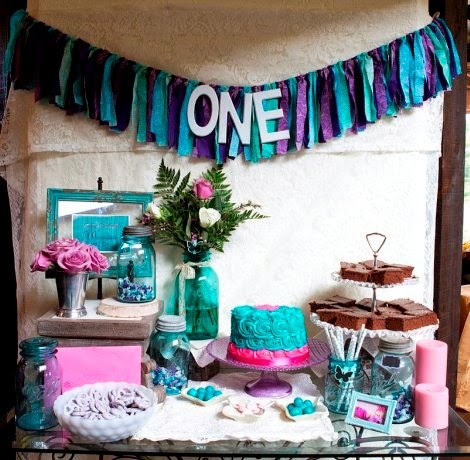 The delightful event showcased here is a first birthday party. The only service requested was a dessert display. 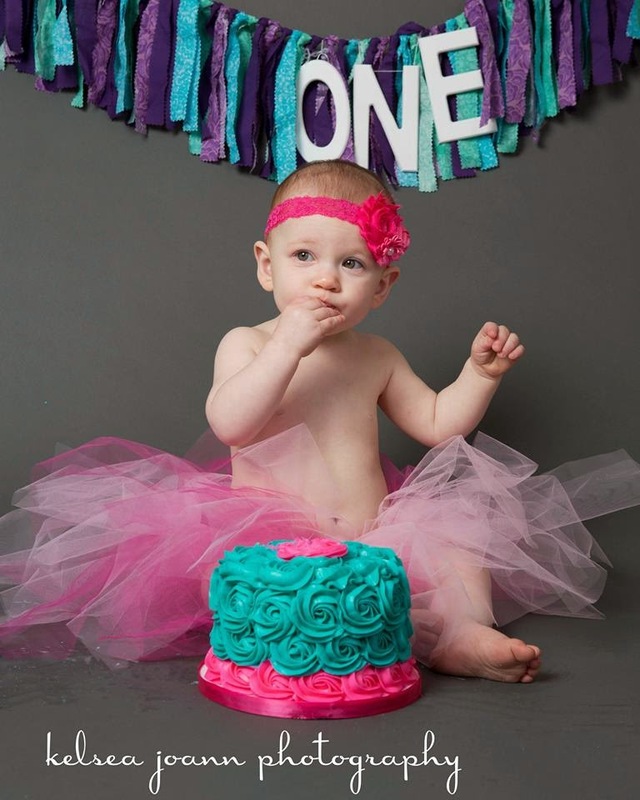 Birthday parties are so much fun and totally worth it to have so that you can see your baby’s first experience with cake, however I definitely see the hesitation to hire a coordinator to “plan” a birthday party. Instead, I offer options for professional displays or decorations. 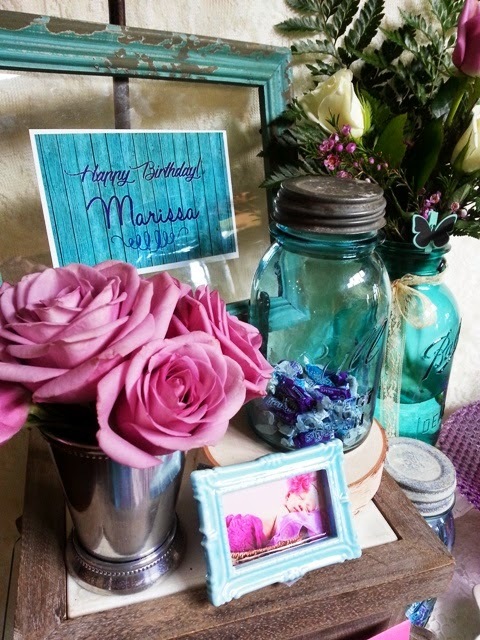 What you get from the coordinator is access to inventory that is themed (blue mason jars, lace back drop, cake pedestals, etc) that you wouldn’t necessarily have on hand. The charge for something like this, a single display, either for food, favors, or whatever) costs to party host only $25 per hour for set up time and an Event Styling Kit for inventory use. Grand total for the first birthday shown here to the client: $35! The Vintage Event on Etsy if Green-Eyed Girl’s store and resource for handmade and vintage event styling. We also work with some great fellow sellers! We are on Etsy “Teams” and love to network together. GEG tries to utilize as many handmade, recycled, upcycled, local vendors in our area for all party planning and event styling. 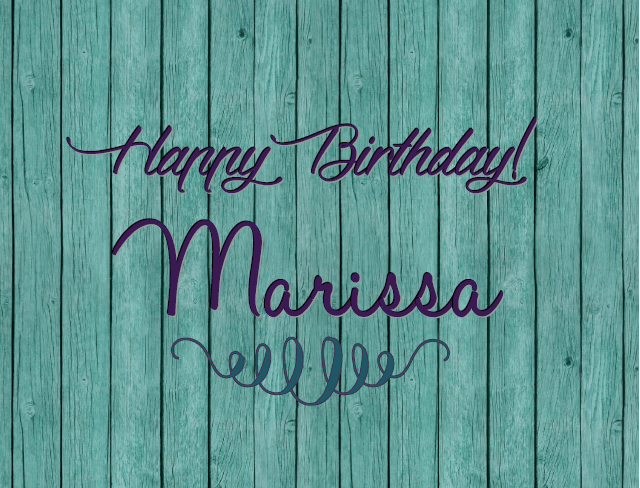 Please visit their Etsy shops for your next party too! ← How to Honor Mom on your Wedding Day: Ribbon Bouquet – A Mother’s Day Tribute….